Skyline believes the success of every organisation is anchored in the way it builds relationships on a face-to-face level. For over 35 years, we have been helping our clients build those relationships by designing leading edge display and graphic solutions for their Trade Shows, Exhibitions, Careers Markets and Conferences. Your dedicated project manager will be your main contact for all your projects – big or small. We start by asking the right questions. We listen first then develop tailored solutions to bring your ideas to life. 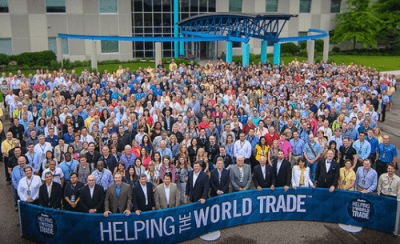 Skyline Exhibits is the world’s largest manufacturer of exhibition systems and has been trading for over 39 years. 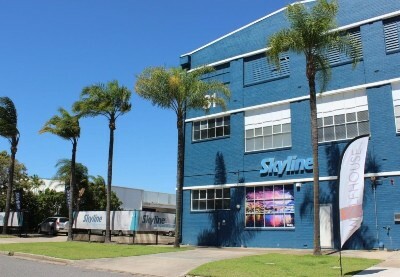 Skyline Displays Australia has been partnering with Australian exhibitors since 1984. We are the longest serving Skyline™ International Distributor. We can offer you a secure partnership now and well into the future. Local service with a global reach. The Skyline Global Network provides unlimited access to worldwide resources, local help and support, wherever you are or need to be. Since 1980 Skyline™ has led the world in the manufacture of portable and custom modular systems. 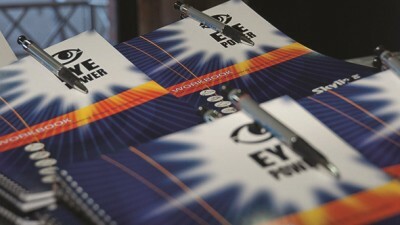 With over 100 individual patents, we are known for our innovation and quality. 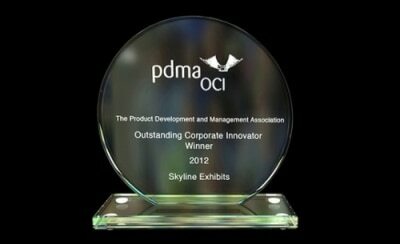 Skyline has been recognised many times for its outstanding product design. It has won multiple EXHIBITOR Magazine Buyers Choice Awards and was honoured in 2012 with the Product Development and Management Association award for Outstanding Corporate Innovation. Other past OCI Award winners have been Apple, FedEx, BMW, Dupont, Pepsi-Cola, Hewlett Packard, Merck and Harley Davidson. Find Out More. There is a lot more to creating a successful event than just producing a stand out display! At Skyline, we are proud to offer exhibitor education and other resources designed to boost your results and increase your return-on-investment. The best partnerships are built on trust, flexibility, understanding and performance. Only by helping you to be successful do we earn the right to work with you again.